Being in New York City on September 11th, 2015 was an experience in and of itself. 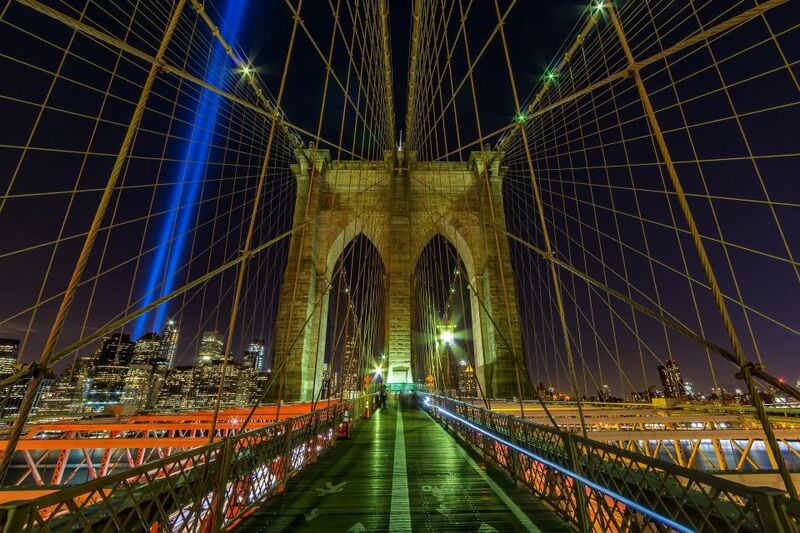 Being on the Brooklyn Bridge in New York City that night was surreal as the city lights and the 911 Memorial lights shined brightly in the night sky. This city is truly a place that everyone should have on their bucket list to visit. Sights, sounds, and much more provide an urban photographer experiences they just won’t get anywhere else. Curious About The Gear I Use? Check out my new Amazon store!